Please find attached documents for our annual meetings on Sunday (14th April 9.15am for 9.30am in the Community Centre) and the notice sheet for this weekend. All our welcome but only those on th Electoral Roll may vote. I’m very grateful for all the hard work that has gone into keeping our paperwork in order so we can comply with all the legislation that is part of contemporary church life. There are six vacancies for our Parochial Church Council so I have attached a nomination for you to use. Please prayerfully consider whether you would like to nominate someone for election. Please find the notice sheet attached with information covering the Easter period including changes to service times on Good Friday and Easter Sunday in the Community Centre. Please do come and join us at 9.15am for 9.30am for our Annual Parochial Church meeting next week (14th April) – our church meeting will follow at 10.30am as usual for our Palm Sunday Service. Please find the notices attached for the week ahead. There is no KidsAlive325 this week. It’s Mothering Sunday this weekend AND the clocks “Spring forward” so don’t forget to reset your alarms. This Sunday (24th) is the last chance to complete an electoral roll form. It’s an important way to show your commitment to our Worshipping Communities and I’m conscious that “others” view it as one of the signs of how viable we are as a church. If you have not yet sign a form and are over 16 and meet with us regularly please do fill in a form. I shall be taking leave this week from Tuesday lunchtime until Saturday morning. I trust that Lent is going well for you. I’m attaching the John Piper poem from last week that that also covers the scripture passages for this weekend. I trust you enjoy it as much as I am. It is well worth reading more than once. It’s still possible to pick up the Try Praying resources at all our services if you have not yet had one. As I mentioned last week a 40 day prayer guide is now available as well as some booklets suitable for us to pass on to friends called “Try Praying”. I’m hoping each one of us will accept this challenge to focus on prayer and invite a friend to “have a go”. If you are able to donate £5 in order to crowd fund this initiative I would be very grateful. Lent is nearly upon us – a time for reflection and turning our face forwards towards Maundy Thursday, Good Friday and beyond. I pray it will be a useful time for each of us in our Christian journeys. Our focus in our morning sermons this Lent will be on Prayer – later this week a 40 day prayer guide will arrive as well as some booklets suitable for us to pass on to friends called “Try Praying”. So I’m hoping each one of use will accept this challenge to focus on prayer and invite a friend to “have a go”. If you are able to donate £5 in order to crowd fund this initiative I would be very grateful. We will mark Ash Wednesday at 8pm at St Francis. (I note that Jesus was placed in a borrowed tomb and likewise we shall meet in a borrowed Church – for which, of course, I am very grateful). Please find attached the notice sheet for tomorrow. Please don’t forget to take a form and fill it in for the Electoral Roll and bring it back to church as soon as possible – either service is fine. Afternoon folk – please note it’s Messy Church again and pasta is provided for tea. Following a meeting between the Archdeacon (Ven Paul Davies) and our Parochial Church Council (PCC) recently it is now clear that the Diocese has no further intention of closing our parish by merging it with anyone of our neighbours. Now that this decision has finally been made we can look ahead with more confidence. I am delighted that after 10 years of uncertainty we can start to plan ahead with prayerful confidence. I anticipate that the PCC will be meeting to renew our Church vision and refresh our Church Development Plan for each of our Worshipping Communities and our other activities. The electoral roll must be completely renewed this year. If you wish to have your name on the new roll, you will need to apply for enrolment as soon as possible so that the new roll can be prepared in line with the current Church Representation Rules. Forms will be available from Lesley Lee or Rev Larry Bain. Ladies: We are starting a women’s bible study daytime group. The first meeting is to be on Thursday 7th March at Ellie Wagstaff’s house at 23 Cherrydale Road, from 10:00 to 11.30 am. Come along, all welcome. More information from Liz Haffenden (tel 07880680320) or Penny Eldridge. No need to book, just turn up. They will be calling the group Clare’s Group in memory of Clare Watson. Gentlemen: I’m looking to start a Men’s Group fortnightly get together on Tuesday evenings – some good Bible – some good company – and some good food. Would anyone like to help coordinate this with me? Please find attached the notice sheet for this Sunday. I shall be away preaching today at Clifton Community Church in Worthing where Paul Cross who has visited us a number of times to preach is the leader. The Pop Up Coffee Shop is this Saturday 16th and will support Amanda Smith who is running a marathon for the Brain injury charity Headway. I hope to see you there. Bake something and bring it if you can. The Church Wardens and I have reluctantly decided that we should NOT have a service tomorrow morning and I think this is wise. We have consulted widely and in view of the likely condition of the roads and footpaths following the coldest night of the year we believe that it would not be right to hold church tomorrow at 10.30am. Many of our morning congregation are unsteady on their feet (I slipped over yesterday!) and others drive some distance to be with us and given the snow melt today all the surfaces are likely to be wet and subsequently frozen first thing first thing. It would be very helpful if you could phone a couple of friends who you think might not do email or not check their email frequently and let them know. the role of St Paul (7-9) St Paul leads by example. the heavenly audience (vs 11-12) what a thought! Personally I think verse 10 is the most challenging – that God should choose to use the Church to accomplish his will. What might this mean for us. A decision about the Sundays Alive service will be made at 1pm and posted on facebook. Feel free to ring me if you don’t do Facebook. Please find the latest notice sheet attached. Please find the details of the Christmas and New Year services on out latest notice sheet attached. May I wish you all a Merry Christmas and a Happy New Year. Throughout the history of the Church, Christians have used Catechisms – collections of questions and answers designed for memorisation and recitation to teach the core doctrines of the faith. The one who is truly human and also truly God. The Holy Spirit convicts us of our sin, gives us spiritual gifts and the desire to obey God; and he enables us to pray and to understand God’s word. And take the helmet of salvation, and the sword of the Spirit, which is the word of God, praying at all times in the Spirit, with all prayer and supplication. To that end, keep alert with all perseverance, making supplication for all the saints. That he is God, co-eternal with the Father and the Son, and that God grants him irrevocably to all who believe. And I will ask the Father, and he will give you another advocate to help you and be with you forever, even the Spirit of truth. The world cannot accept him, because it neither sees him nor knows him. But you know him, for he lives with you and will be in you. That we are not our own but belong, body and soul, both in life and death, to God and to our saviour Jesus Christ. Please find the notice sheet attached for the week ahead. Please find the Notice Sheet attached. The Pop Up Coffee Shop is popping up this Saturday (20th October) 10:00-11:30 at the Community Centre. This week we’re team up with Phil Gray a self employed Paint and Decorator from Heatherside who’s going to Uganda 🇺🇬 in November to help build a orphanage and school. Phil will be working along side a fantastic team of trades people for The Abode Project. Phil says “The project has won my heart with all the dedication and hard work that is put into everything they do for these children. The children have such little food, clothing or resources, all things that my children and myself take for granted on a daily basis. I will be on hand to put my skills to use to help provide an amazing living space and school so as these children can get the education they rightfully deserve. I will be sharing my skills with locals so as they can mend and fix as and when is needed. This is an amazing project, however the new buildings cannot be utilised without the correct equipment and utensils. They will need to furnish the classrooms and children’s bedrooms, stock medical cabinets, equip the kitchen, supply bathroom toiletries and much much more. I appreciate money is always being asked of by people but by popping along to the Pop Up Coffee Shop you can get a freshly brewed coffee/tea and something yummy 🤤 for JUST £2 and all the profits will go to help this AMAZING project. The Holy Spirit convicts us of sin, comforts us, gives us spiritual gifts and the desire to obey God; and he enables us to pray and to understand Gods word. For this reason I kneel before the Father, from whom every family in heaven and on earth derives its name. I pray that out of his glorious riches he may strengthen you with power through his Spirit in your inner being, so that Christ may dwell in your hearts through faith. And I pray that you, being rooted and established in love, may have power, together with all the Lord’s holy people, to grasp how wide and long and high and deep is the love of Christ, and to know this love that surpasses knowledge, that you may be filled to the measure of all the fullness of God. With Love, perseverance, and gratefulness: in humble submission to Gods will, knowing that, for the sake of Christ, he always hears our prayers. Do not be anxious about anything, but in everything by prayer and supplication with thanksgiving let you requests be made known to God. Since no one can keep his law, what is its purpose? We are all born in sin and guilt, corrupt in our nature and unable to keep God’s law. Since the fall, no mere human has been able to keep the law of God perfectly, but consistently breaks it in thought, word and deed. Ninth, that we do not lie or deceive, but speak the truth in love. Tenth, that we are content, not envying anyone or resenting what God has given them or us. If you really fulfil the royal law according to the Scripture, “You shall love your neighbour as yourself,” you are doing well. Sixth, that we do not hurt, or hate, or be hostile to our neighbour, but be patient and peaceful, pursuing even our enemies with love. Seventh, that we abstain from sexual immorality and live purely and faithfully, whether in marriage or in single life, avoiding all impure actions, looks, words, thoughts, or desires, and whatever might lead to them. Eighth that we do not take without permission that which belongs to someone else, nor withhold any good from someone we might benefit. For the commandments, “you shall not commit adultery, You shall not murder, You shall not steal, You shall not covet,” and any other commandment, are summed up in this word: “You shall love your neighbour as yourself. Fourth, that on the Sabbath day we spend time in public and private worship of God, rest from routine employment, serve the Lord and others, and so anticipate the eternal Sabbath. Fifth, that we love and honour our father and our mother, submitting to their godly discipline and direction. First, that we know and trust God as the only true and living God. Second, that we avoid all idolatry and do not worship God improperly. Third, that we treat God’s name with fear and reverence, honouring also his word and works. It is the Lord your God you shall fear. Him you shall serve and by his name you shall swear. You shall not go after other gods, the gods of the peoples who are around you. You shall have no other gods before me. You shall not make for yourself an idol in the form of anything in heaven above or on the earth beneath or in the waters below – you shall not bow down to them or worship them. You shall not misuse the name of the LORD your God. Remember the Sabbath day by keeping it holy. Honour your father and your mother. You shall not murder. You shall not commit adultery. You shall not steal. You shall not give false testimony. You shall not covet. Personal, perfect, and perpetual obedience; that we love God with all our heart, soul, mind, and strength; and love our neighbour as ourselves. What God forbids should never be done and what God commands should always be done. And (Jesus) said to him, “You shall love the lord your God with all your heart and with all your soul and with all your mind. Over the next few weeks we will be sending out, with the Church notices, a Catechism: question, answer and a Bible passage. There are three persons in the one true and living God: the Father, the son, and the Holy Spirit. They are the same in substance, equal in power and glory. Over the next few weeks we will be sending out, with the Church notices, a Catechism – question, answer and a Bible passage. There is none like you among the gods, O Lord, nor are there any works like yours. All the nations you have made shall come and worship before you, O Lord, and shall glorify your name. For you are great and do wondrous things; you alone are God….. But you, O Lord, are a God merciful and gracious; slow to anger and abounding in steadfast love and faithfulness. I’m entering new territory with this Sabbatical (Extended Ministerial Development Leave) commencing on Monday and I’m sure it will take quite a lot of adjustment. Adjustment, Both for me and for you and for the wider community. Let’s agree to pray for each other that the next 3 months will be fruitful time for all of us. I’m praying that the things I normally do will find willing hands. Caring and looking after each other seems to be something we are good at but can I ask you to especially look out for each other. The Leaders of groups and all the different ways of doing church and community will all remain in place and where the need for a “priest” remains one will be provided by our friends in the Deanery and beyond. For most things that come up our Church Wardens (their contact info is as below – email via this address) should be able to help you or point you in the right direction. If you cannot make contact with the Church Wardens then my fellow Camberley Group Incumbents (Rev’ds Bruce, Bob, Andrew and Tom) and the Area Dean Rev’d Jonathan Hillman the Rector of Windlesham may be able to help you but the Church Wardens should be your first port of call. The first Saturday I’m away (21st) will be quite busy with our Pop Up Coffee shop in the morning and our Pop Up Gig Night with our folk friends from Unplugthewood. Please do show up at both – you’ll need to buy a ticket for the Gig Night first though as it includes Fish and Chips. If I should happen to turn up it is because I’m also a member of the community! I look forward to seeing how the church has grown and changed when I return in mid July. NB I’m grateful that Yvonne will be sending out these emails whilst I’m away. All requests for notices to Paula as usual. d chip supper. Bring you own drinks – tea and coffee provided. To reserve tickets please contact me or Suzy (07881245587). Please find the notices for this Easter Weekend attached. 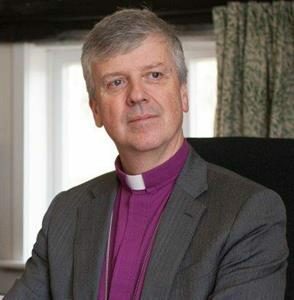 I have also attached the sermon from the Cathedral Maundy Thursday Service from Bishop Andrew. Hoping to see some of you later at our 8pm Maundy Thursday Service at St Francis, others for Breakfast at Deepcut Cafe tomorrow (Good Friday) at 9am and yet others at 10am for 10.30am for our morning service in the Community Centre. Easter Sunday will be at our normal time of 10am for 10.30am – also in the Community Centre. Please find the notices attached. With Easter and the Easter holidays there are extra things happening as well as a few things taking breaks for the holidays etc so the notice sheet needs a careful read. We will all lose an hours sleep this weekend with the clocks changing – we will have our refreshments after the service which may be helpful! Please find the notices attached as usual as well as some paperwork (electronic) for the Annual meetings which will be held this Sunday at 9am for 9.15am. We will mark the 3rd complete year of Sundays Alive this weekend with a party feel. Next Sunday (25th March) is Palm Sunday – the clocks will go forward – we will have refreshments after the service. In the afternoon we will have Messy Church. I’m sad to let you you that Clare Watson a friend of many in our church family passed away peacefully on Friday evening with all her family present. She had been discharged from Phyllis Tuckwell Hospice into BUPA Waverley Grange care home, opposite. Please be praying with me for Billy and the rest of the family. Understandably there are no details for a funeral service as yet. Our Annual Parochial Church Meeting will held prior to the morning service next Sunday 18th March. Please join us at 9am for coffee, juice and pastries followed by 9.15 start. All our welcome. Please find the notices attached as usual. We very much hope that the Hearing Aid Loop has now been fixed. We should be very grateful to the PA team who have put so much hard work into tracing the problems and arranging for it to be fixed. If you use a hearing aid with the correct settings to connect to a Loop it would be very helpful if you could change your hearing aid setting for the service on Sunday at 10.30am and let the Team know if it is working for you. Please let me know if you would like to join me for the IGNITE service at Cove at 6.30pm so we can share transport. I trust you have been able to either survive or enjoy the snow and colder weather as best suits!. I’m very much looking forward to spending time with folk tomorrow both at our church services but also at the meals that follow them. Please find the notices for the week ahead attached. We are pleased to welcome Tim Cross from St Paul’s Camberley as our preacher in the morning and Liz to share at Sunday’s Alive in the afternoon. We helped raise £80 at the Pop Up Coffee Shop earlier today in Partnership with Sainsbury’s and the Heatherside Ward Residents association. This Sunday bears the snappy title “The Sunday next before Lent” which means, not unsurprisingly, that Lent is starting this week. We will be marking this special period of reflection with our Ash Wednesday Service at 8pm at St Francis. Arrive early if you want to be there for the burning of the palm crosses and the making of the Ash. The Diocese have sent us some leaflets (The Bishop of Guildford’s Lent Challenge) which will be available this Sunday for those who would like some thoughtful help during Lent. Please find the notices attached for this weekend. There will be an opportunity to join others at 6.30pm at Southwood Community Centre for their IGNITE service this Sunday evening (4th Feb). Please liaise with me for more info. I was delighted to hear today that some of our Operation Christmas Child shoe boxes went to Central Asia where I worked in the 90s. There are many poor children in these countries. We launch our joint Messy Church project tomorrow (Sunday) at 4pm working together with St Peter’s Frimley. Please invite your friends. We will do this once a month. Please pray for this new venture. Churches Together in Camberley have a Prayer and Praise meeting tomorrow (Sunday) at St Michael’s Camberley at 6.30pm – arrive a bit early as there will be singing before the start. I the wider community there has been discussion both at the Heatherside Ward Residents Association meetings and on facebook Heatherside Residents Forum about raising support (and funds in due course) to erect a pillar on the grass at the corner of Martindale Avenue and Cumberland Road. Similar pillars exist in Deepcut and in Frimley Green. I fully support this idea. Members of the wider community have been pledging their support and an offer of money towards such a project (mostly £5 each). For those of you wishing to pledge support for this idea but who do not use or prefer not to pledge by Facebook there will be a sheet at the back of church. It is necessary to secure these pledges to convince the borough council to allow us as a community to go ahead with the project. One of our neighbours Len Williams is coordinating this effort and his idea is explained more fully on the attached letter which contains pictures of nearby pillars. Please find the notices attached for this week. Thank you to all of you who prayed for our Living nativity event last week. I was delighted at the large numbers that attended and stayed and relaxed over a coffee with us. I was amazed to discover that we have manged to cover our costs and make a small contribution to the Residents Association for next years Christmas Tree events. I’m very grateful to have got through the Christmas period without a cold this year – always good to be grateful. I hope you all had a great Christmas and are looking forward into the New Year with hope. I will be away on retreat with some other church leaders from sunday evening returning in time for Wednesdays Alive. In the morning tomorrow (Sunday 7th) we will have our annual Covenant Service when we will recommit ourselves to living and serving God afresh. In the afternoon Millers Ark Living Nativity will be joining us at St Francis from 2pm until 4pm followed by church at 4pm. The Pop Up Coffee Shop will also be “popping up” to do the refreshments for the event. This is an event that is really easy to invite your family and friends to. Please find the notices attached and a copy of the Living Nativity poster for any last minute invitations. Tomorrow (Saturday) we are partnering with our local Sainsbury’s to support Frimley Park Hospital’s Children’s ward with our Heatherside Pop Up COFFEE shop. 10.00-11.30 at the Community Centre. On Sunday evening (17th) we are having our Candles by Candlelight service in the Community Centre at 6.30pm. Please do bring your friends, family and neighbours to both of these events. Its getting busy again and the notice sheet is full of fine detail so please read carefully and make a note of the things that you want to be involved in and where they are happening. Please encourage your children/grandchildren to dress up as a nativity character if they would like to come to this Sunday’s (10th) Sunday’s Alive service at 4pm. After Sundays Alive we will go to McDonalds in Farnborough (if there is time) and then arrive early for a 6.30pm start at the IGNITE Carols by Laser Light service. Please invite your musical friends to come and join us to practice the Carols at 4pm on 17th and then stay on for our Carol Service at 6,30pm. 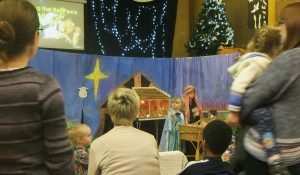 Our usual Crib and Christingle services in the Community Centre on Christmas Eve are always a great opportunity to invite family friends and neighbours with children. On Christmas eve in the morning we will need some practical help assembling over 200 Christingles both at 9am and at 11am (we will have an informal communion service at 10.30am). Please let us know if you are able to come and help. Please find the notices attached for this Sunday. THIS Sunday (3rd December) the afternoon Sundays Alive service will be moved to 5pm as we join with St Francis and some of the uniformed organisations to have a Christingle Service. Tomorrow (Sunday 26th) there will be a normal service in the morning BUT the afternoon service is not happening because we are joining the rest of Heatherside Community to sing carols and Christmas songs around the tree in Heatherside Arcade at 5pm. Lights on at about 5pm. If anyone would like to volunteer as a steward to generally keep us safe that would be very helpful. We will also need a jolly person to give away popcorn. I’m happy to do the sound but just as happy to share this role if someone would like to help. It has been a very busy November and things aren’t letting up. Tomorrow (19th) Bishop Andrew joins us for a service of Baptism and Confirmation at St Francis at 4pm followed by a hog roast – do join us even if your don’t normally come in the afternoon. Next Sunday (26th) the Community will be turning the Christmas tree lights on at 5pm – again please join us. There will be no 4pm service. Looking ahead there will be an early bird Christingle service at 5pm on December 3rd which will be a joint service with St Francis. Please find the notices for Sunday attached. Next Sunday we will hold two services a usual but all are encouraged to come for the service of Baptism and Confirmation at 4pm with the Bishop of Guildford which will be followed by a hog roast. Please bring a dessert if you are able. A busy Sunday ahead with everyone bringing their Shoeboxes this weekend and with many invited to an afternoon event including 7 uniformed groups. The date for turning the Heatherside Christmas tree lights is Sunday 26th November at 5pm. Amongst other we as the church would like to be involved in this event and we will be asking for volunteers to help. Please contact me or Scott if you can offer help on the day. If you you would like to suggest a reading that would be helpful for Remembrance Sunday (12th) please do contact me before Tuesday lunchtime. Please pray for those being Baptised and confirmed on 19th November at 4pm by Bishop Andrew. Please find the notices for tomorrow attached. This is a REMINDER that the CLOCKS CHANGE TONIGHT so we get an extra hours sleep. If you are interested in a free fireworks display there will be a short display on Tuesday evening (31st) at 7.45pm on Heatherside recreation ground. They started a few minute early last year so go early. Please pray for our Parochial Church Council on Monday evening (30th October). Tomorrow (Saturday) at 10am – will be the Pop Up Coffee Shop at the Community Centre. Please do come and join us and bring your neighbours. We will raise money for a children’s home in Ghana this time. I am delighted to let you know that a new Archdeacon has been announced for our half of the Diocese. His name is Paul Davies and I attach a press release from the Diocese. The next Women of the Word event is tomorrow (Saturday) at Heatherside Community Centre on Saturday 7 October at 9.30am. Guest speaker will be Lisa Edge of Acorn Christian Healing Foundation. Church seems busy with a full notice sheet – please take time to see if there is anything that would be good to be involved with or invite others to. Please continue to pray for those on the Alpha Course and for those who being Baptised and/or Confirmed on 19th November and their families. Thank you for your prayers for last weekend’s Pop Up Coffee Shop and Harvest Service. NB note the Prayer and Praise service at St Paul’s this Sunday (1st) at 6.30pm for Churches Together in Camberley. Thanks for joining in with our Pop Up COFFEE Shop earlier today (Sat 23rd). We were able to pass on £150 to the PTA and £150 to Children of the Dump (ASCT). What a great way to build community and help others. Don’t forget to put 4pm on 19th November in your diary for Baptism and Confirmation. It’s still not too late to speak to me to arrange a Baptism/Confirmation – please pray. It is likely that two candidates from St Andrew’s Frimley will join ours. Please do join us tomorrow if you can for our Harvest service with is at 10.15 – slightly earlier than usual! Refreshments will be served after the service. We hope to have members of the Scouts and Guides and their respective younger groups and their families with us. In the afternoon (Sunday 24th) we will be cutting back vegetation behind St Francis Church from at 1pm onwards. I have tools and gloves for those who would like to help – wear old clothes. Looking ahead next Saturday (23rd) is our Pop Up Coffee Shop which will raise funds for Children of the Dump (formerly ASCT) and the Friends of Heather Ridge Infants (formerly the PTA) – this time we will be using the Heather Ridge Infants School hall for our event. All are welcome – please bring your friends and neighbours. If you would like to bake something and bring it that would be very helpful. Thank you to those who have spoken to me about Baptism and Confirmation – its not too late to speak to me as we start to plan towards 19th November. Please particularly note the early start time for the Harvest service on 23rd September at 10.15am when the uniformed organisations will be joining us. I would love to hear from you if you are thinking of Baptism and/or Confirmation as Bishop Andrew has agreed to come and join us at 4pm on 19th November. If you would like to run or host an Alpha Course have a chat so that we can see how I can support you in this. Please find the notice sheet attached which will cover the next two weeks. Please find the notices attached for the next 2 weeks – combined. We look forward to hosting our next coffee morning here on Monday (31st). We are very grateful to all those who have stood for office to serve our church in the year ahead the details are attached. We are also grateful to Grant Newman (a friend from our community) who has constructed a cover and put up a new screen in the hall for Tuesday Afternoon Fellowship. After a busy weekend for the church and the wider community it is perhaps fitting to have a notice sheet with a few less things on it to catch our breath for a while. The detail’s of Margarets funeral service are on the noticesheet attached.- my experience of the traffic this last week might suggest that leaving extra time for the journey might well be wise. NB Some of you might have noticed that the Anglican Church of North America (ACNA) ordained a missionary Bishop for Europe at the request of the Global Anglican Future Conference (GAFCON) on Friday. I was with Andy Lines (now Bishop for Europe) on Wednesday evening in Clerkenwell when GAFCON met to discuss this arrangement. This new arrangement, although a little complicated, is reassuring as we face such continued uncertainty within the Church of England. Please talk to me if you need more clarity. The notices are attached as usual. Details for Margaret (Mills) funeral are on the notice sheet – all those who who are planning on coming are also invited to refreshments afterwards at the Golden Retriever which is near Easthampstead Park. The Sundays Alive Team this weekend (25th June) are holding a BBQ at St Francis at about 4pm after some singing etc. All are welcome – bring your family and friends. The next Pop Up Coffee Shop is Saturday 17th July in the Heatherside Community Centre at 10am – 11.30am and will for charities supporting the emergency services. Come and get a coffee and empty your wallet for a great cause. The Pop Up Coffee Shop is tomorrow (Saturday) in the Community Centre between 10am and 11.30am and will raise funds for the children’s charity Sparklers. Please pop in for a coffee and a cake. 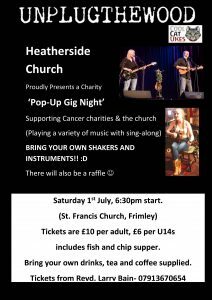 Tickets for the Pop Up Gig Night on 1st July can be bought from me for £10 and include a Fish & Chip supper and the Band Unplug the Wood. Sundays Alive this weekend (11th June) will be having a meal together after church this week. Steamed bacon pudding with potatoes and cabbage as well as less exotic food! – All welcome – bring your friends but let me know for numbers. Bring food if that works better for you. Please find the notices attached. We look forward to welcoming the family and friends of William Roberts who is being Baptised at our 10.30am service 4th June. There will be no Kids Alive this week as some of us will be attending the funeral of Karen Badger in Maisey Hampton. There are many things to pray for in our church family at the moment but can I ask you to also be praying for Jon Badger and the family and friends of Karen as we give thanks for her life on Thursday. Whilst away on holiday this week I received the sad news that Karen Badger who formerly worshipped with us had died. Please pray for Jon and the family and friends of Karen after her untimely death. As soon as details of a funeral or memorial service are known we will publish them. CEO of Christian Aid to follow her calling? I’m on leave this week returning next Sunday (14th). Tomorrow is our Annual Meeting of Parishioners and our Annual Parochial Church Meeting for 2016. Please do join us at 3pm for afternoon tea at St Francis Church when we will do our annual business together. The Sundays Alive congregation are hosting a BBQ after the service – all our welcome to stay on. Two people have been nominated for the role of Church Warden of which we have two vacancies. There are four vacancies for the Parochial Church Council and I am aware of two persons standing for election. There are two vacancies for Deanery Synod and I am aware of one person standing for election. It is possible to to nominate persons for any of these positions right up until the meeting – I have the necessary forms. I am attaching all the paperwork for the meeting that is available and the notice sheet for this week. Please find the Notice sheets attached as usual. Sunday week 30th April we will have our Annual Parochial Church Meeting at 3pm at St Francis Church Hall at 3pm with afternoon tea. There are four vacancies for PCC members – if you would like to stand for election you will need to a proposer and seconder. Might there be a someone you would like to challenge to serve us in this way? Forms available at both services on Sunday. Very much looking forward to celebrating Easter with you tomorrow. We will be having a Family service at 10am for 10.30am with Hot Cross buns. We had another excellent Pop Up Coffee Shop today raising £170.00 for Cancer Research. If you are coming in the morning please allow extra time at the end of the service so that we can work on our goals for the year ahead. I was sad to hear that Jean Fletcher had died this week. Please see the notice sheet for details of her Thanksgiving Service. We pray for Bob and the family in particular. I’m very much looking forward to Mary Seaton speaking to us again tomorrow/today (Sunday morning). We had hoped to look at putting together the Church Plan (for the morning service) during the meeting next Sunday but strong feelings have been expressed against doing this so we will now meet at the conclusion of the service which will mean that we all need to plan to spend longer at church next Sunday (9 April). I’m attaching a form for you to start to prayerfully gather your thoughts on. Please note that the clocks go forward an hour this evening. This week we heard the sad news that our friends Margaret Brady has died. Please be praying for her family and friends. Many will remember Daniel Odhiambo from Kenya who visited us and preached on Sunday mornings during the time he was training in this country. I’m attaching a prayer letter from him this week so you may pray for him. We say goodbye this weekend to Reza and Volga who are moving to live in Italy later this week. They plan to join us on Sunday morning. We will mark the beginning of Lent on Ash Wednesday (1st March) with a short service at 8pm at St Francis – all welcome. Justin Welby the Archbishop of Canterbury’s book Dethroning Mammon has been suggested as suitable reading for Lent. Can be bought at the Triangle Bookshop Farnborough or ordered on line. Andrew Watson has put together a Lent Challenge and the leaflets will be at Church this Sunday. The Church Society is producing a Lent resource via Facebook everyday through Lent and I am proposing to share it on our Facebook pages each day. We welcome Summer Calvert formally into the church family at her Baptism at 4pm this Sunday – all welcome. Thank you so much for those of you who having been praying for my/our health. I am very grateful that Robert Crossley the retired Vicar of St Paul’s has agreed to come and preach and preside at Holy Communion this weekend. Tomorrow (Sunday 12th) is your chance to say thank you and good luck to our special friend John Marrow because after 8 years his time with us on Heatherside is over. John is now studying to become a priest/vicar in the Church of England and the essays are getting trickier and longer. John will be joining us at 10.30am and preaching. John will also be with us at 4pm at our Sundays Alive service – all welcome. Tea and toast as usual at Sundays Alive – bring a cake or some biscuits etc as we say goodbye and Godspeed. Don’t forget the next Pop Up Coffee Shop 10-11.30am 18th February Heatherside Community Centre. 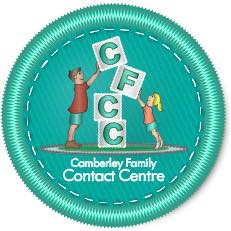 This month all proceeds will be going to help Camberley Family Contact Centre (CFCC) whose aim is to promote contact in a safe and welcoming environment, between children and non residents members of their immediate family. 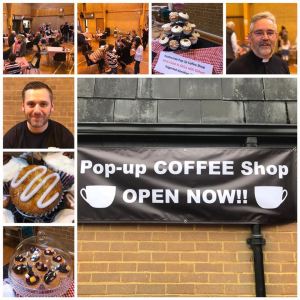 Just in case you weren’t in church last Sunday – we had another very successful Pop Up Coffee Shop last week raising £130.00 for the Fountain Centre and in the evening nearly 70 folk for our Pop Up Music Night at St Francis raising £150.00 for the Hyper Mobility Syndrome charity and £260.00 for our church. A very big thank you to all who helped make our day such a success. It’s not too late to join the Alpha course next Wednesday morning – have word with Liz Haffenden or Penny Eldridge. Many of you will remember Keith King, a former member and Church Warden of Heatherside Church. He passed away peacefully last week – please pray for Diana and their family at this sad time. What a busy weekend with our Pop Up Coffee shop this morning and the Pop Up Gig Night tonight. Please find our notices attached. I have been encouraged by spending time this week with some fellow church pastors who lead church of a similar age and size to ours. The notice sheet is attached – clearly a good week for inviting friends with an Alpha course starting on Wednesday, the Pop Up Coffee Shop on Saturday morning (21st) at 10am and later that evening our first live music event the Pop Up Gig Night at 6.30pm. Please do invite a friends to one or more of these events.I will have tickets with me at Church. Tomorrow Morning (Sunday) is our annual Covenant service. I was sad to hear that Phyllis Chaplin a long time member of our church and mother of Doreen died peacefully last weekend. She had just celebrated her 108th birthday. It is likely that the Funeral service will be held at Woking on 27th January at 2pm. Every year we have a verse and this year I have chosen Jesus’ words “Man shall not live on bread alone, but on every word that comes from the mouth of God.” from Matthew 4:4. Reading God’s word is so important for each one of us as we try to be obedient disciples of the Lord Jesus. We dare not rely on our feelings or other things but must let God’ word shape us day by day. We have mid week small groups to meet together around God’s word and some read in pairs or triplets. There are many different resources to help us read daily and last year a new resource was launched which you can log on to daily or receive a daily email. You can find it here www.bibleinoneyear.org . One of our church members said “by listening to the BiOY it makes me want and try and be a better person compared to who I was yesterday!!!!“. Why not give it a try – there are 3 passages of scripture each day and a paragraph to help to make sense of each passage written by Nicky Gumbel. If you would like to join a mid week group please get in touch with me. In the notice sheet this week Paula has highlighted some of the groups that meet during the week. If you would like something similar included for a group you are part of please let Paula know. Looking ahead there will be a Pop Up Music night on the evening of 21st January at St Francis to raise funds for the church and another charity. Clive Buckingham a former member of the church will be coming with his group the Crofton Stokers and Emily from our Sundays Alive congregation will be entertaining us. There will be Fish and Chip supper. Cost £10 person – bring your own drinks – more details to follow. Looking forward to seeing you over the Christmas and New Year period. Trying to remember what time and where things are happening get’s increasingly complex. Paula has helpfully summarised the “what” and “where” for us on the attached notice sheet. Particularly hard might be to remember their are no Sundays Alive service until 8th January and that Christmas day is at 9.30am. Don’t forget to invite your friends. Please be hospitable over this season and pray for our friends and neighbours who are unwell or lonely. If you are away or I don’t see you to speak to personally “have a Happy Christmas and New Year”. There will be a Family Carol Service at St Francis at 4pm this Sunday (11th) – everyone is welcome. Please see the invite below. I have also attached the info for our Christmas Services again. We had another great Pop Up Coffee Shop today (Saturday) with more than 130 folk dropping in and with the Beavers and Scouts raised £175 for the Children with Special Needs Foundation. Due to our recent growth at our Sundays Alive service we are not able to join St Francis at 5pm today so instead we will be having a Bring & Share” lunch at 1.30pm at St Francis. Looking forward to seeing folk at lunchtime – all are welcome. I’m attaching a couple of invites with all the details of our Christmas services. Why not invite a neighbour or a friend to join the choir this year? Looking ahead we are hoping to have a fundraising evening on 21st January at St Francis with Clive Buckingham’s group the Crofton Stokers and our own Emily singing with her Ukulele. More details to follow. I’m attaching the notice sheet. I’m very much looking forward to having Mary (and Tony) Seaton) with us today (Sunday) at both our services. Please be praying for the planning that goes into Christmas and the first term of next year. Pray that our plans will help us each to move forward into what God has for us. Pray that all that we plan to do will give honour to God and will further his Kingdom here on Heatherside. We had another excellent Pop Up Coffee Shop serving over 100 friends and neighbours. We were able to make donation of £75 towards the Heatherside Ward Residents Association. we have also received acknowledgment from OXFAM that the previous donation has been received towards Goats for Africa. I am looking forward to having Mary Seaton with us next weekend – I trust that the Ladies meeting on saturday will go well – even though I can attend!!! There is an invitation attached. She will be with us at both Sunday services. Looking ahead there is a Carol Service for those who have been bereaved at St Michael’s Camberley. Again the details are attached. It would be helpful to let St Michael’s church Office or me know if you are intending to attend. During the week we heard the sad news that Sybil West died on Friday 11th November following a chest infection. She passed away peacefully at Durnhythe Care Home in Aberdeenshire. I’m attaching the notices as usual. I believe there may be an Alpha Course starting Monday 14th November led by John and Kate Peddie – please contact them for more info – C682664 or message them on FB. Looking ahead there will be another Pop-Up Coffee Shop in the Community Centre on 19th November 10am until 11.30am. Bring your friends. Mary Seaton will be our guest speaker on 26th November at 9.30am for our Ladies Morning – please do bring your friends. Mary has just returned from speaking in Inuit communities in the Arctic and will share something of her experiences. Also on 26th November at 5pm there will be a ceremony to turn on the Christmas Tree lights – all our welcome. We will mark Remembrance Sunday at both our services tomorrow. As write this email outside there are the noises of rockets exploding close by. In 1995 if I had written that it would have been an altogether different kind of rocket! We should be praying for Mosul tonight and in these coming days as the Iraqi army and other forces move forward to retake this town/city from ISIS. Pray for the men, women and children who probably want nothing more than peace. Think of them cowering in their homes facing they know not what. Let that though drive you to prayer. Remember as you pray for them that they may be Muslims, they may be Christians or they may have a secular outlook on life but being able to live a peaceable life without fear will be their common desire. There may not be much that we can do to practically help – although there will be families being resettled in Surrey Heath although I don’t know the figures. If we are believers then actually prayer is a practical response to the evil in our world. Please pray for a quick outcome in Mosul and a long term peace. Pray for folk living in fear that they may soon be liberated. I’ll be leading prayers at both our services tomorrow – if you would like to write a prayer for me to read or you would be willing to pray openly for this unfolding tragedy please let me know. I’m attaching the notice sheet as usual and note that there are many good things being organised nearby to go to. Why not take a friend to one of these events and in due course invite them to an Alpha course. We will send out the details of our Alpha start dates soon. NB Some of you will have seen from my Facebook page that there is an article about my love of Land Rovers in Classic Land Rover magazine – I’m on the front page! I’ll bring the magazine to church in case folk would like a look without committing to buying a magazine – I quite understand!!! I’m attaching the notices as usual as well as a letter from Tearfund thanking the Church for using the yellow small change boxes. I was deeply moved as I read their letter and discovered that the partner charity that they forwarded our money onto was the same charity (SERVE Afghanistan) that I lead for a while whilst I was overseas in Pakistan/Afghanistan. I therefore know from first hand experience the very real benefit of delivering this kind of aid (a goat) to refugees returning to their home country of Afghanistan from the refugee camps in Pakistan. This project was getting started in another area just as I was leaving in 1996. Staying with goats for a moment we launched our Pop Up Coffee Shop on Saturday and were delighted to see just over 120 folk from the community get together for a coffee and a pastry/cake/biscuit. I’n very grateful for all those that put £10 in an envelope to make sure that we had all the equipment we needed to get off to such a great start. I’m also very grateful to folk in the church and in the community who helped out. Our next coffee shop event will be in 19th November. I’m very much looking forward to the clocks going back tonight and gaining an extra hours sleep. This is your reminder. Today we will be welcoming three new folk into God’s family – Megan, Liam and Olivia at our baptism service at 4pm at St Francis. A great thing happened a couple of weeks ago and we were able to add the Harvest giving at Heather Ridge Infants School to our own giving for Besom. I am grateful for the Senior Citizens allowing us to pass all the food on to such a great charity. I would like to remind you all that the clocks go back in a weeks time. I understand that the Heatherside Church Golf society played again on Friday although I was unable to join them on this occasion. The Fun Fair will be on the Green again at Heatherside Sat/Sun/Mon and the fireworks are going to be at about 8pm on Monday (31st) although I would suggest that the timing has been a bit variable in previous years so they might be earlier. Please would you pray for a our community for a safe evening. There will be a family evening on 31st from 5.30pm until 7.30pm organised by Frimley Churches to provide an alternative to Halloween. I believe we are allowed to join them (I’m checking) – if you would like to go book through me. In a new initiative we are sponsoring a Pop Up Coffee Shop on Saturday 29th October between 10am and 11.30am in the Community Centre. On this occasion we will support an Oxfam initiative and send a goat to a poor family overseas. Future events will partner with other charities to raise money for good causes – do join us. I’m very grateful to Scott Green for all the work he has put towards preparing for these events. As far as I can tell term has settled down and we will have a few weeks of normality ahead to enjoy after the summer and before it gets busy again (I’m not saying that word!). I’m very much looking forward to our new Pop Up Coffee Shop starting on 29th October. Thank you very much those of you who have popped a tenner in the yellow envelopes. As you know we ran out so I’m pleased to say that a new supply have now arrived so its not too late to sponsor this new community initiative. 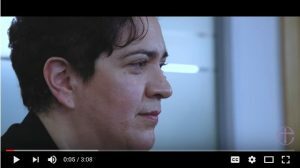 I really hope this project will be the beginning of more new partnerships with other organisations that have the well-being of others at heart. It was exciting to welcome another baptism family into the church last week and looking ahead to welcome three more children being baptised on 23rd October. The notice sheet is attached as usual. Thank you for praying for the PCC (Parochial Church Council) on Monday – we had a very productive evening. One of the things that we agreed at our meeting is that we will start a “pop up” Coffee Shop on Saturday mornings once a month. Each time we “pop up” we plan to partner with a charity. Our first Coffee Shop will be a simple affair between 10am and 11.30am on 29th October in the main hall of our Community Centre. If you would like to sponsor us we are looking to partner with at least 25 people each donating £10 to cover the initial set up costs. After that we hope to be self funding and make a contribution to a chosen charity. We will use the yellow envelopes available at the back of church for sponsorship. Please fill in the details and write “coffee shop” on the envelope. Obviously you can give more if you wish. If you are not a tax payer please put a diagonal line across the envelope. Please be praying for the Church Council that meets on Monday evening. We will spend sometime thinking about the new Diocesan Vision and what it might mean to us as a church. There will be a number of other initiatives to discuss as well. If you are reading this on Sunday morning before Church don’t forget that we celebrate Harvest at both our services today. We will also break bread at both meetings. There are at least two Birthday’s to mark at the 4pm service so there will be a party feel to our time together. At 6.30pm there will be a Churches Together service at St Paul’s – all welcome. There is a slogan associated with Land Rover enthusiasts that goes “One Life – Live it”. It seems an apt phrase for us as Christians as well. 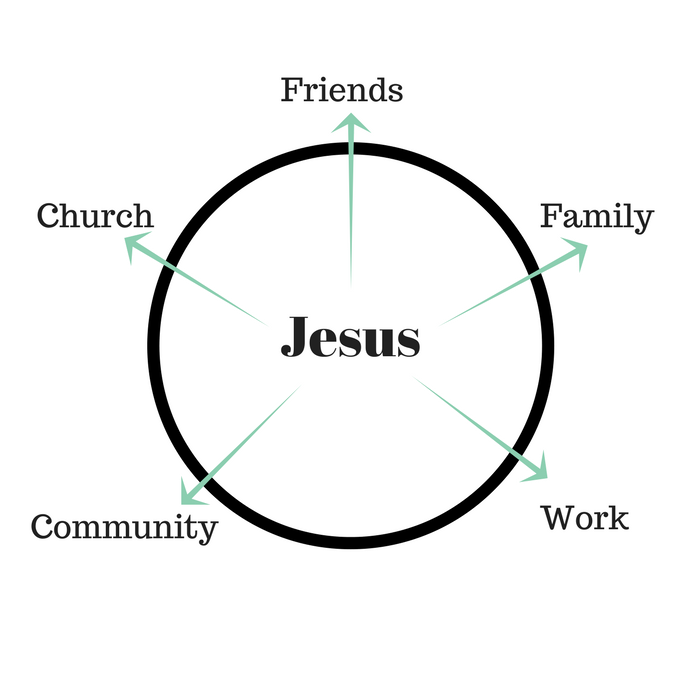 My sense is that over the next six months or so we will have the opportunity to spend some time thinking and rethinking what our shared lives as a christian community might be about. Please be praying for our church in these days that we may discover what is God’s heart for us and how we might faithfully live that out. The wedding of my youngest went very well on Friday – thank you to those who helped and those who prayed. As usual the notices are attached. There will be a lunch after the morning service in the Community Centre this Sunday (18th) – all welcome. Do let me know if you are able to come and you have not already let Yvonne know. Please find the notices and the Autumn term Card attached. A FREE Training opportunity for Local Churches to become Dementia friendly. This short course is being held at St.Paul’s Church, Crawley Ridge on Saturday 24th Sept 10am-12:30pm & Thursday 29th Sept 7:00–9:30pm. After the session you will be able to wear a Dementia Friends Badge and display a Dementia Friends Sign in your church. We will also have a presentation from Maureen Hume of Camberley’s Alzheimer’s Café, a taster session from Elsie Hawkins from High Cross’ Melody for the Mind and the opportunity to hear personal testimonies. Refreshments willbe provided. Please contact Karen:karen.pdo.ctc@gmail.com or 07931 336511 to register your interest. The library of audio cassettes, CDs and VHS recordings of teaching materials has ceased to be regularly used and is therefore being brought to an end. Andrew has the list of available items. If you are interested in any of the items, or know of an organisation which could use them, please contact Andrew. Julie Green will be making a trip to Calais on 23-34 September. Julie is hosting a ‘spice-bag-making evening’ on 13 September, 7.30-9.30 pm at her home. All materials will be provided – just come along, help to assemble bags and enjoya glass of wine or tea/coffee and a chat. If you would like to help in any other way (e.g. donations for the spice bags or a financial contribution)please ask. St Paul’s will be running an Addiction Recovery Course, starting on Tuesday 6 September from 7.30pm to 9.30pm for 15 weeks. While it is a Christian-based course, it’s open to people of all faiths or none and is for people with any addiction. Contact St Paul’s on C 700210. Women Women of the World. For more information please speak to Penny Eldridge. I’m pleased to be back at home after my holiday in a Devon field. The Lord blessed the conference there and it was great to relax for a few days afterwards. I’m very much looking forward to being back at church tomorrow. NB I will be away from Tuesday 23rd August returning for Sunday 4th September. There will be a BBQ at St Francis at 4pm. All welcome. Bring a contribution if you can. Sponsored Piano Playing at St Peter’s. Stuart Thomas invites all from local churches to attend and enjoy a special day of musical entertainment and relaxation. Stuart has kindly agreed to hold a sponsored piano playing day in aid of organ repairs and overhaul of bells. You are welcome to join him and Heather and listen to the piece of music that you have sponsored. Refreshments will be provided through the day for those wishing to come along. The event takes place on Saturday 10 September (2-4.30pm and 7.30-9.30pm). Leading Worship and Occasional Preacher Courses. Two courses run by Guildford Diocese are being held this autumn. If this is of interest to you please speak to Larry. Note applications for the leading worship course must be received by 26 August. Coffee Morning Monday 22nd August 2016. We will be holding a coffee morning on 22nd August 10.30 to 12.30 at Larry’s, 30 Yockley Close. All are welcome, so please feel free to invite friends and family. For more info please speak to Penny, Yvonne or Liz. TAF is taking a summer break and will meet again on 6 September 2016. I trust you are enjoying the summer. Please find the Notices attached. We celebrate the Baptism of Adam tomorrow at 4pm at St Francis Church – please come and support this service if you are able. The Bishop of Guildford, Andrew Watson has spoken of his anguish on the death of Father Jacques Hamel today at the Church of St Etienne du Rovray, near Rouen. Bishop Andrew said:“I am deeply saddened by the events today at the Church of St-Etienne-du-Rouvray, and we join with our brothers and sisters in France in prayer and anguish. “Our Diocese of Guildford is linked with Evry, near Paris, and I have written to Bishop Michel of that Diocese to convey our shock and prayer. “There is no peaceable alternative to a society where people of all faiths are valued and free to worship without fear, but these events show that this is something which can never be taken for granted. “Evil attacks the weakest, denies truth and love, is defeated through Jesus Christ. “We pray for France, for the victims and for their communities. “Le mal attaque les plus faibles, nie toute vérité et amour, est vaincu par Jésus. Last Friday Curry Club. 29 July 2016. We plan to have a change from curry and go for Chinese this month. See you at The Four Horseshoes, 13-15 Burrow Hill Green, Chobham, Surrey GU24 8QP and then at 9pm at Eastern and European, 160 Windsor Road, Chobham, Surrey GU24 8QX. Tuesday Afternoon Fellowship. Has finished for the Summer break and will return 6th September. KidsAlive325. Has finished for the School Holidays and will return at the beginning of next term. Diocesan Summer Summer School 2016. Craft Evening. First Tuesday of each month 7.30 to 9.15pm. Contact Margaret Cox. Holiday at Home at Frimley Baptist Church. Tuesday 2nd, Wednesday 3rd and Friday 5th August 10.00am to 3.30pm with lunch. Wednesday is a coach trip to Christchurch in New Forest. Holiday at Home is for the over 60’s. You can come to all 3 days or just one or two days, cost is just £6 per day including coach trip. 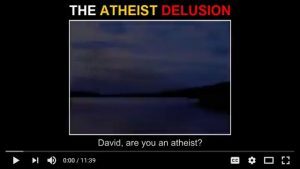 Contact David Lasseter on Tel. 01276 25041 or mobile 07914974667. Mission Life Grace Conference. 23 to 27th August Camping in Devon – come and join us. Let’s go as a group. Conference Website. PCC Meeting. 2nd October 2016 8pm at Church House. Frimley Park Chaplaincy. Frimley Park Hospital are holding a recruitment course for new chaplains in October. If you are interested, or would just like to know more, please contact the Lead Chaplain, Revd. Jennifer Sistig at Frimley Park Hospital. Email jennifer.sistig@fhft.nhs.uk or telephone: 01276 604184. Street Angels. If you would be interesting in serving the community in this way please speak to Larry C691127. I’m very much looking forward to sharing lunch tomorrow to celebrate the royal Birthday. Archbishop preaches at Queen’s 90th birthday thanksgiving service Friday 10th June 2016. The Archbishop of Canterbury preached and gave the blessing at the National Service of Thanksgiving at St Paul’s Cathedral today for The Queen’s 90th birthday. Ninety years ago, Her Majesty The Queen was born, like every human being knit together in her mother’s womb, and today we thank God for the way in which she, like every human being, is fearfully and wonderfully made. Before we ever come to light, God marks our journeys. No one at The Queen’s birth knew for what she was destined. Today we recognise that God knew. Sixty-three years ago at the Coronation, again in the words of the Psalmist, God uniquely laid his hand upon Her Majesty, anointing her as our Head of State, our Monarch. We are here today to worship the God who made our Queen, and to celebrate the way in which God’s hand has been so uniquely evident in her life. Psalm 139 explores fear and wonder, and the connection between them. In life there is much to fear. Over and again the Psalm describes those things we might be afraid of – the fears we harbour individually as well as the fears we share corporately. Fear makes us want to flee – from God, from one another, often even from ourselves. But over and again that fear is turned into wonder as we see that God is before, behind and beyond it. Over the 63 years and the 90 years there has been much to fear: at times of personal challenge or national crisis. But just as the psalmist sees through fear to something more stirring and more extraordinary, so we look back on Your Majesty’s 90 years in the life of our nation with deep wonder and profound gratitude. Through war and hardship, through turmoil and change, we have been fearfully and wonderfully sustained. The one who turns fear to wonder is Jesus. 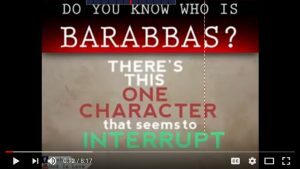 The story of Jesus shows us that God enters into the most fearful places imaginable in our lives – of sin, betrayal, violence, rejection, even death – and turns each one of them from horror into glory. Nothing is outside God’s understanding. Nothing is beyond God’s grace. Nothing is too broken for God’s transformation. No one can flee from God’s redeeming goodness or finally escape God’s loving attention. ‘Consider the lilies, how they grow,’ says Jesus. They too are the handwork of God who clothed them in glory, from the overflow of his love and care. How much more does God care for and clothe each one of us. Your Majesty, today we rejoice for the way in which God’s loving care has fearfully and wonderfully sustained you, as well as Prince Philip marking his 95th birthday today. And we rejoice, Your Majesty, for the way in which the life God has given you in turn you have given wonderfully in service to this nation. You have been an instrument of God’s peace, and through you God has so often turned fear into wonder – and joy. It reminded me just what a helpful thing it is to sit down with a friend and discuss a bible passage together. I still have some copies of The Word ONE TO ONE bible guides which are really great for using with a friend – just ask me if you would like a set. I have really enjoyed reading them together with friends this last year. I hope that you have been spending the time in anticipation of Pentecost which we celebrate tomorrow. I attach the notice sheet for this week and a corrected version of the Term card which now has the correct time for Tuesday Afternoon Fellowship.